December was a god tier reading month (16 books), so of course in January I slumped and read only 4 books!!!! Honestly, I don’t even feel that sad about it?? I don’t know if it’s my depression making me not care about it or if I genuinely do not feel stressed about reading a lot of books in a month, but I’m glad I don’t feel horrible for not reading more! My biggest issue was that I tried to read ebooks, specifically eARCs, but for some reason ever since October I’ve been struggling a lot with ebooks. So for two weeks I tried to read my eARC of Descendant of the Crane but I couldn’t! And in those two weeks I read and finished nothing else. I THOUGHT my preorder of King of Scars would arrive on time, and not, you know, a whole week after release date because then what was the POINT OF PREORDERING… so I only got 1 book instead of 2 in January! 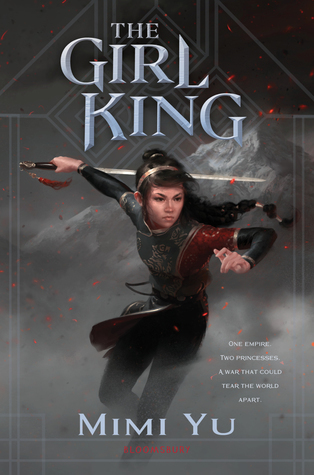 Thank you so much to Em @ Em Likes Books on booktube for fulfilling my #bookishwish and sending me a preorder of The Girl King!! But I’m planning on taking a 2ish week break from posting anything in February! I have a blog tour review going up this Wednesday, and possibly a post on Friday?? And I also have one planned for Valentine’s Day, but after this week, that Valentine’s post will be the only one until the 21st! I am definitely the most proud of my blogger appreciation discussion post!! I mean, how could I not be, after sending over 6 hours working on it?? Shealea @ Shut Up Shealea (who made a new blog! ), Lily @ Sprinkles of Dreams, Vicky @ Vicky Who Reads, and CW @ The Quiet Pond are co-hosting the Year of the Asian Reading Challenge and you should definitely check it out! I collaborated with the amazing Cait @ Paper Fury (and other bloggers!) to predict trends for the books releasing in 2019. Also be sure to check out the cover reveal for her next book and add it to your TBR! My best friend Ju @ Paper Blots made her blogging comeback and I couldn’t be more excited to have her commenting on my posts again and making fun of me! Marie @ Drizzle and Hurricane Books discussed whether or not we need reading schedules and I related SO hard to the things she talked about. Surprise surprise! I wrote pretty much nothing again this month. I really wanted to start replotting my WIP, and you would think I would have the time to since I wasn’t reading a lot, but I just don’t have any inspiration! I’ve been trying to let ideas come to me, but it isn’t working, and I know forcing myself won’t help either, so I’m really stuck. BUT! I’m really glad that I haven’t lost the motivation or want to work on this WIP—I truly want to continue planning it and writing it, and I’m super happy about that. As for poetry, I wrote like three poems, and they all pretty much sucked! First thing’s first, I went back to school and just as I predicted, the progress I’d made with my mental health turned back on itself and I had horrible mental health for the first few weeks of the month!!! I’ve also started using an app called Habitica (thanks to my productivity god friend Elise), and it’s really helped hold myself accountable for actually doing things! I feel so motivated to actually do homework and skincare and simple things like that just so I can check it off in the app. Other than that, I can’t think of anything else to add in this section? Like I said before, January truly did not exist. Nothing happened. I don’t remember anything. Brief blogging break! I’m really excited, actually, to post less in order to actually interact with you guys. I think it’s going to be really relaxing and fun. I’m HOPING I actually manage to do the things I want to do (comment on posts! reply to comments! blog hop!) but we’ll see. Honestly not much. The only important things happening this month are like, Black History Month and also Valentine’s Day I guess, but I literally have no idea what other significant things will be happening?? 2019 is really off to a fantastic start!!! how was your February? did you slump like me or read a lot of books? do you have productivity apps like Habitica? and have you gotten the chance to read King of Scars yet??? Previous Discussing Blogger Appreciation and the Lack of It: Analyzing Answers, Stats, and Graphs From a Survey I Made! So glad you’ve been successful in practising self-care this past month, May! I honestly love reading your posts because everything you say is always so inspiring, relatable, and honest (but no pressure to keep actively blogging or anything, your mental health comes first)!! I actually really liked ruin and rising too– it definitely had lots of good parts for me!! Hozier is great!! I love listening to his songs!! Self-care is seriously so important and I’m so happy that you got to practise it more in January. I wouldn’t say that I fell into a reading slump but I didn’t finish any books last month… I just spent too much time on YouTube and catching up on movies after revising for half a month for the mid-terms. Doing more blog-hopping is also a big goal that I would like to accomplish this year. I hope you’ll have an awesome February and good luck with your February goals! Thank you so much lovely!! I’m so glad I was able to practice more of it in January as well ☺ And aahh, YouTube and movies after midterms is honestly the best form of self-care, haha! Hope you don’t feel too bad about your book slump ❤ And yes, I definitely want to do better at blogger interaction (especially since I used to be a lot better at it 😭). I hope you have a great February!! I just read King of Scars and I need to scream about it with someone. 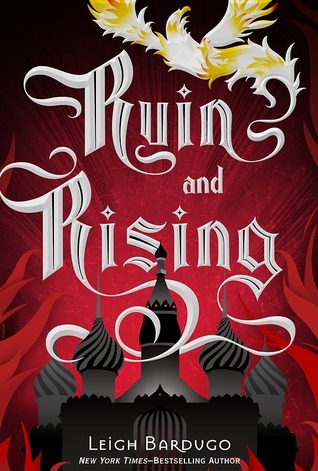 Also, it’s really great that you just read Ruin and Rising because this book is definitely tied to the original Grisha Trilogy. And I’m glad self-care is going better for you! I’m honestly struggling on that end. But I think that’s because January was SO CROWDED for me and I couldn’t figure out how to live life. Hoping I’ll be able to breathe a bit better in February. Good luck with this month’s goals! Will definitely miss your posts but I totally understand and hope you have a lovely break! I think it’s great you’ve been practising self-care more this month May. 🙂 That’s for sure something to be proud of because I think sometimes we put ourselves and self-care at the very bottom of our priority list when it should be at the top (it’s something I’m trying to focus on for this year too). I suppose you could always average out the two months in terms of your reading; saying twenty books in two months would work out better that way. 🙂 But even so it seems like you enjoyed all the books you got to this month so that’s something. Also I get what you mean when it comes to pre-orders. I pre-ordered The Gilded Wolves last year and it’s only just been dispatched to me. What’s the point in pre-ordering when it seems like you have to wait longer for it to arrive?! Same here, and I’m still waiting for my copy of The Gilded Wolves which I am very annoyed about?! 3. I hope all your goals go well + the blogging hiatus is some self care I love it!! I didn’t read much in January either (I was busy and I started writing more) ! I’m reading an eARC and it’s slow progress because my attention span when it comes to ebooks is super short and also because I’m worried using an ereader like an iPad will end up hurting my eyes. wait I’m so confused. EVERYONE’S BEEN SAYING THAT JANUARY LASTED FOREVER (!!) and then, there’s you liked “it didn’t even happen”…? we stan an unpopular opinion queen. 1) I’m very glad you liked Summer Of Salt!! And I’m not just saying that because I gifted it to you!! Obviously not!! I am never biased!! 2) omg you’re going on a break!! take care of urself!! I support you so much!! good luck on like relying to comments hahahahaha u have so many!!! I will mist ur posts and probably die while you are gone!! but it’s fine!! 4)thank you for linking to my posts ur the best I love you. 5) I knew about habitica before u were born but I only used it for like 2 days and gave up on it because I’m actual trash. 6) You better send me all ur poems (they’re not trash) how dare you insult urself (me realising this is your whole brand and mine too, and then realising i’m very dumb). 7) I hope u get out of ur slump soon.try NOT reading e-books. just an idea. I’m so glad you managed to practice some self-care in january, may, I hope you’ll be able to continue that more and more, you deserve the best. 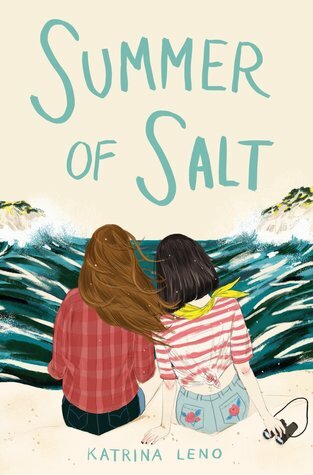 I can’t wait to read Summer of Salt, it sounds like such an amazing book, I’m so, so happy you enjoyed it! Have an amazing February, Marie !! Oh, congrats for self care and also yay for Habitica. I used it for a few, along with some other bloggers… but after a bit I stopped. I totally need to pick it up again. I love YOU so much!! And aahh no I haven’t read The Wicked Deep but if I loved both GMOS and Summer of Salt I might have to pick it up 👀 Our buddy read is going to be legendary, I can feel it!! Ahhhhhh I read Summer of Salt in January too and I LOVED IT SO MUCH! It was super weird, but it was just so beautiful and unique and sweet (and of course queer hehe) and I feel completely in love! And same I actually genuinely really like Ruin and Rising? And I DID like the whole series, but nobody else seems to like Ruin and Rising and I just… really did. 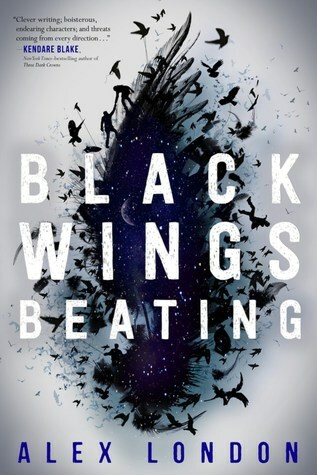 Also I’m going to be reading Black Wings Beating soon, and I’m sort of nervous that I’m not going to love it… Especially if it’s slow, which is the last thing I need while I’m slumping. But oh well, I’m going to give it a try! i’m glad that you prioritized self-care in january! it’s something i need to do but can never find the time for :(( i agree with your op. of ruin and rising, bc even though i only 3-starred it, i did enjoy it more than i was expecting to! school can really make your mental health go down, i hope your mental health improves in february and that you feel better, sending all the love! i really need to try habitica asap, i was/or am?? idk?? planning to try it but i havent yet lmaooo. see you later in february, may! i’ll miss your posts, but i definitely understand! have a great (mini??) hiatus! best of luck with your goals in february, and happy reading! Aahh thank you so much Taasia! I’m glad I prioritized self-care as well, and I’m sending all the good vibes and hope that you’ll be able to do that in February as well!! 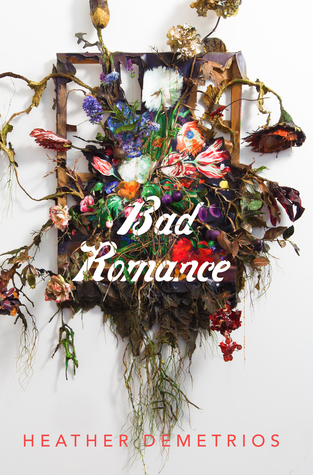 and yes it’s so weird how much I liked R&R?? I feel like I should be rating it like 3 or 3.5 but no :’) And I hope you’re able to try Habitica soon!! It’s really helpful to me! Cait that is ME!!! Even if I end up accomplishing like ten tasks it still feels like nothing at the end of the day (stupid brain!!). And thank you so much, I hope you’re able to practice self-care this month as well!! And commenting on blogs + replying to comments is definitely a lot of work but I’ve missed it so I’m really glad to be taking this posting break!! LOLOL I literally ran to go download Habitica right after I finished reading! I’m so sorry that January wasn’t that great. I think it was such a slumpy and gross month…I’m glad that you were able to practice self-care though ❤ You deserve it so much. I hope you'll be able to focus more on blogging and interactions with friends too. I'm excited for you!! oh I hope Habitica is working out for you Tiff!! I just love ticking off task boxes and getting rewarded for it lmao. And aaahh love you, YOU ARE SO SWEET. I hope you have the best February! !